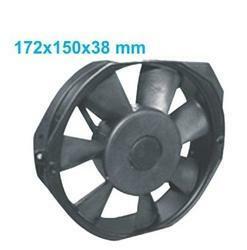 Manufacturer of a wide range of products which include flow fans 150x150x50mm, axial electric fans 172x163x51mm, round axial fans 220x220x60mm, axial flow fans 220x220x60, fans 170x170x51mm and square axial flow fans. 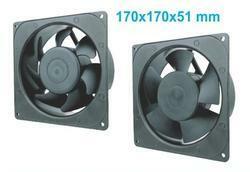 We are widely known for manufacturing and supplying Flow Fans 150x150x50mm. These fans are primarily used for cooling electrical equipment and machines with utmost efficiency.With the manufacturing and designing being done as per latest industrial norms, these fans are robust and superior in finishing. This type of fan is used in a wide variety of applications, ranging from small cooling fans for electronics to the giant fans used in wind tunnels. 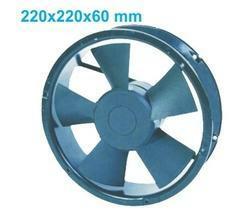 We are widely known for manufacturing and supplying Axial Electric Fans. These fans are primarily used for cooling electrical equipment and machines with utmost efficiency.With the manufacturing and designing being done as per latest industrial norms, these fans are robust and superior in finishing. 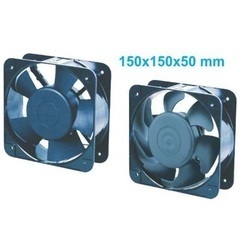 This type of fan is used in a wide variety of applications, ranging from small cooling fans for electronics to the giant fans used in wind tunnels. 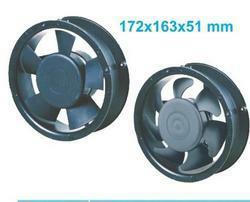 SIBASS Tube Axial Fans are used for cooling electrical equipments. The axial-flow fans have blades that force air to move parallel to the shaft about which the blades rotate. Axial fans blow air along the axis of the fan, linearly, hence their name. 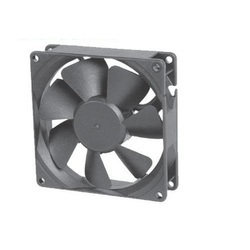 This type of fan is used in a wide variety of applications, ranging from small cooling fans for electronics to the giant fans used in wind tunnels. We are widely known for manufacturing and supplying Axial Flow Fans. These fans are primarily used for cooling electrical equipment and machines with utmost efficiency.With the manufacturing and designing being done as per latest industrial norms, these fans are robust and superior in finishing. This type of fan is used in a wide variety of applications, ranging from small cooling fans for electronics to the giant fans used in wind tunnels. 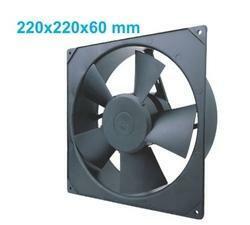 SIBASS Ventilation Fans are used for cooling electrical equipments. The axial-flow fans have blades that force air to move parallel to the shaft about which the blades rotate. Axial fans blow air along the axis of the fan, linearly, hence their name. This type of fan is used in a wide variety of applications, ranging from small cooling fans for electronics to the giant fans used in wind tunnels. We are widely known for manufacturing and supplying Square Axial Flow Fans. These fans are primarily used for cooling electrical equipment and machines with utmost efficiency.With the manufacturing and designing being done as per latest industrial norms, these fans are robust and superior in finishing. This type of fan is used in a wide variety of applications, ranging from small cooling fans for electronics to the giant fans used in wind tunnels. SIBASS Axial Flow Fans are used for cooling electrical equipment. The axial-flow fans have blades that force air to move parallel to the shaft about which the blades rotate. Axial fans blow air along the axis of the fan, linearly, hence their name. This type of fan is used in a wide variety of applications, ranging from small cooling fans for electronics to the giant fans used in wind tunnels. SIBASS Flow Fans are used for cooling electrical equipments. The axial-flow fans have blades that force air to move parallel to the shaft about which the blades rotate. Axial fans blow air along the axis of the fan, linearly, hence their name. 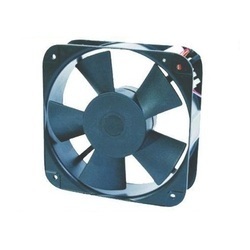 This type of fan is used in a wide variety of applications, ranging from small cooling fans for electronics to the giant fans used in wind tunnels. 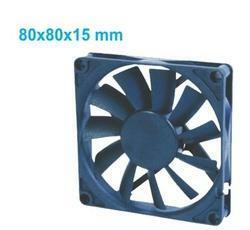 Looking for Industrial Cooling Fans ?